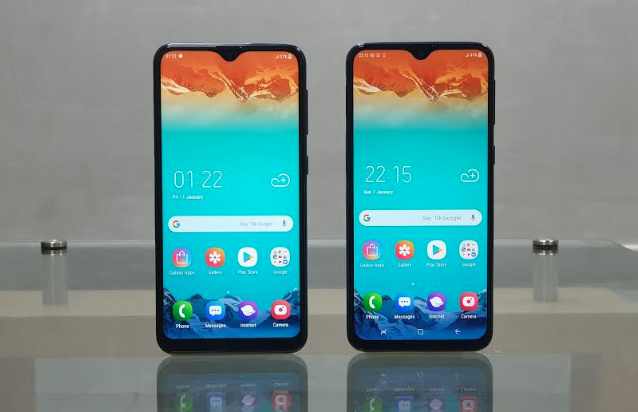 Samsung launched its first sales of Galaxy M10 and M20 smartphones, which were launched in late January. So far, smartphones are only available in the Indian market. These are budget models that are aimed at young people and the generation of millenium. They use infinity-V displays with a drop-shaped cut, and prices start at $ 111 (3050 USD) for the latest version of the Galaxy M10 with 2 GB of RAM and 16 GB of disk space. The Galaxy M10 3/32 GB will cost $ 125 ($ 3400), Galaxy M20 3/32 GB – $ 153 ($ 4200), and Galaxy M20 4/64 GB – $ 180 ($ 4900). Smartphones immediately add tariff plans for Internet traffic at special prices. The Galaxy M10 has a 6.2-inch diagonal screen resolution of 1480 × 720 pixels, a 5 megapixel camera, a dual core camera with 13 and 5 MP resolution, SoC Exynos 7870, and a 3400 mAh battery. The Galaxy M10 features a 6.3-inch screen with a resolution of 2340 × 1080 pixels, a 8MP Sally Clock, SoC Exynos 7904, and a 5000 mAh battery. Both smartphones work with the most recent Android 8 Oreo operating system and the Experience UI 9.5 shell.